Link to Audible! Greg Tremblay narrating. 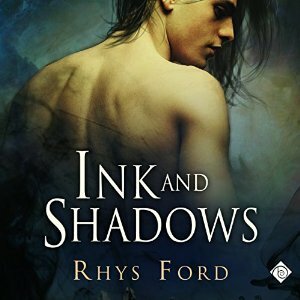 For the young tattoo artist, the shadows hold more than darkness. He is certain of his insanity because the dark holds creatures and crawling things only he can see – monsters who hunt out the weak to eat their minds and souls, leaving behind only empty husks and despair. And if there’s one thing Kismet fears more than being hunted – it’s the madness left in its wake. The shadowy Veil is Mal’s home. As Pestilence, he is the youngest – and most inexperienced – of the Four Horsemen of the Apocalypse, immortal manifestations resurrected to serve – and cull – mankind. Invisible to all but the dead and insane, the Four exist between the Veil and the mortal world, bound to their nearly eternal fate. Feared by other immortals, the Horsemen live in near solitude, but Mal longs to know more than death, war and famine. Mal longs to be…more human. To interact with someone other than lunatics or the deceased. When Kismet rescues Mal from a shadowy attack, Pestilence is suddenly thrust into a vicious war – where mankind is the prize, and the only one who has faith in Mal is the human the other Horsemen believe is destined to die. Austin and Kentucky Coffee Meet and Greet. Ish. Feb 13th and Feb Dunno Yet. Thanks for the heads up. Just added to the wish list. Listened to it today and I loved it! Greg Tremblay always makes it an enjoyable experience and the story caught me right away. Please Ma’am, may I have some more? Oh my queue is sooooo long 😀 *grins* I hope you liked it!